What Benefits Can Bimuno Prebiotic Supplements Provide? Bimuno prebiotic supplements are a type of nutritional supplement that are formulated to promote digestive health. This product contains second generation prebiotics which make it different from other digestive dietary supplements currently available in the market. Bimuno is designed to energize the bacteria in the digestive system that support and strengthen the immunity system of the body, thereby protecting it from diseases. It is a second generation prebiotic, which means that it has other characteristics different from traditional prebiotic supplements. It does not only support the good bacteria in the gut, but it also helps reduce and weed out the bad bacteria that are also present in the stomach to make the gut stronger and the whole body better equipped in terms of defending itself from illnesses. Basically, it offers support to the body’s natural defenses. Prebiotics are carbohydrates that function as food for the good bacteria that are naturally found inside the body. They induce the growth and activities of these good bacteria which, in turn, strengthens their power to push out bad bacteria and protect the body from diseases. As opposed to probiotics, these special types of carbohydrates are non-digestible, which allows them to go through the digestive system and reach the colon in their unaltered state. Probiotics, which are live bacteria that increase the already existing good bacteria population in your gut, can be altered or even destroyed before they even reach the colon since they are not non-digestible like prebiotics. This diminishes their efficacy and because they are altered before they reach their desired destination, they may not be able to perform their designed functions fully. Unlike other prebiotics, Bimuno not only boosts the good bacteria present in the gut, but also has the ability to reduce the number of bad bacteria in the stomach, something that not all prebiotic supplements are able to do. 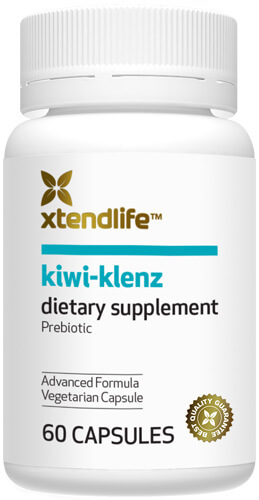 This supplement is particularly designed to increase the level of the good bacteria Bifidobacteria in the digestive system, although it can also help increase the level of Lactobacilli in the body, which is another type of good bacteria. The supplement can benefit everyone who wishes to maintain a healthy digestive system. It is also ideal for those who have busy lifestyles and are feeling burnt out. It is particularly good for people who suffer from digestive disorders such as diarrhea, constipation and other conditions. The prebiotic supplement is safe for children, adults and even the elderly, although adults should always supervise small children who need to take the supplement. The nutritional supplement comes in two forms, powder form and pastille formulation. The two forms were created to accommodate all those who wish to take the supplement. For kids younger than six years old, the powder form is recommended. It can be easily added to food or drinks and children need not swallow any pill to get their dose of prebiotics, thereby removing any risk of choking. For adults, the pastilles and powder form are both suitable. Bimuno does not have a distinctive taste or flavor, so it can be easily taken without having to worry about unwanted taste. The supplement is also very convenient for those people who travel constantly and are unable to properly plan their meals. Prebiotics are basically safe since they came from natural sources. However, for pregnant women and people with lactose intolerance, caution need to be exercised. A consultation with a doctor prior to taking the supplement is highly recommended for these people. Bimuno prebiotic supplements are gluten-free so those who follow a gluten-free diet can also take them.